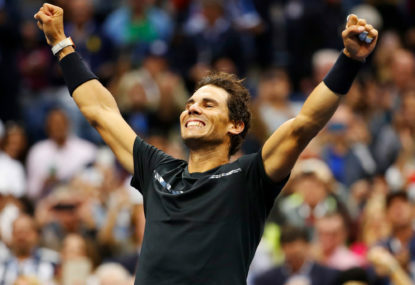 Is this the best Rafa Nadal has ever played? He has a “talent that no other player has”. A “different dimension of tennis”. A downtrodden Stefanos Tsitsipas, who before the match cut an ebullient and uber-confident figure, said that about Rafael Nadal after the Spaniard lobotomised him in the Australian Open semi-final. Changing of the guard? Hold your horses John impetuous McEnroe. The fairy tale run of Tsitsipas, who vanquished Roger Federer in the fourth round, came to a swift end on Thursday as he won just six games in a 6-2 6-4 6-0 defeat to El Matador. “He’s very aggressive from the baseline,” the deflated 20-year-old said after his match. 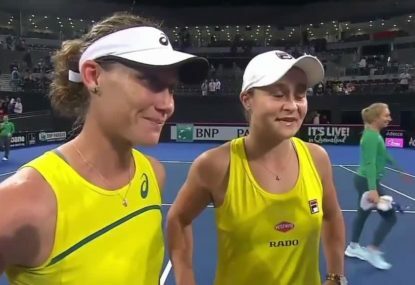 “It felt like a different dimension of tennis. He gives you no rhythm. He plays just a different game style than the rest of the players. Once again, Nadal continues to amaze us. The injury-ravaged Spaniard has played little to no tennis in recent months since his ankle surgery and a more recent thigh strain scare. Yet he has produced some of his best ever tennis at this year’s Australian Open, at the grand old age of 32. But is it the best Nadal has ever played? Some will quite rightly point to his other dominant grand slam tournament wins to rebut this. For instance, he did not drop a set and lost just 40 games on his way to winning the 2008 French Open title. He lost even fewer games, 35, at Roland-Garros in 2017. Or maybe his first Wimbledon title, in 2008, or his US Open triumphs or even his solitary Australian Open win, in 2009? We can debate that until the cows come home, but what is not up for debate is just how aggressive Nadal has become. On the Australian Open coverage on Thursday, it was revealed that Nadal was up nine per cent on winning rallies that were 0-4 shots long in comparison to the 2017 tournament. If you watch him play, Nadal is taking the ball earlier than ever before, he is ripping his backhand at every opportunity and he is keeping the points short. His forehand is as venomous as ever and even on the return of serve he is not as far back as usual. (Photo by Glyn KIRK / AFP). He is spending less time on court, is conserving more energy during matches as he is more aggressive, and he will be the freshest he has ever been for a slam final in Australia. In years gone by, you would see the Spaniard build a point, almost toying with his opponents, before finally putting them out of their misery. Many may be shocked by this ultra-aggressive approach but we should not. His coach Carlos Moya openly said this was what Rafa was going to do in 2019. 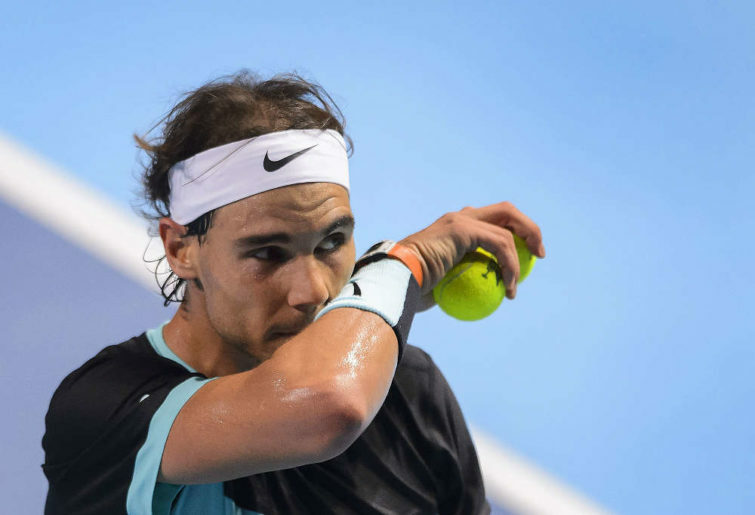 “Joan Forcades (Nadal’s physical trainer), Francisco Roig and I are preparing Rafa to be a more aggressive player – even more so than he has been throughout his career,” he told ATPTour.com late last year. “Matches are settled within four strokes and 70 per cent of that is the serve and how one returns, then what follows, plus the next shot. He added: “I know we’ll never turn Rafa into a (Roger) Federer, (Milos) Raonic or (Tomas) Berdych, who all excel as two-shot players. “But we have to try and push Rafa to come close to that, without losing the essence of his game. But shame on us for being shocked about Nadal’s style of play so far. 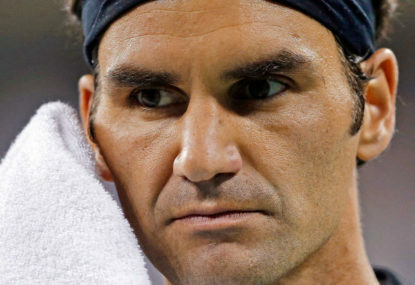 “I can’t play like Roger when I don’t have the serve of Roger … [that] was not case during all my career because I never had that serve,” he said after his semi-final victory. “But today I’m serving better. That’s why I’m able to hit more winners on the first ball. “That’s the only reason. For the rest of things, I always tried to be aggressive. I have my mentality. It’s true, the serve has improved exponentially. You have to admire Nadal, who has been a pro for more than 15 years, for still wanting to reinvent himself. This is one of many reasons why he is a sporting legend. Maybe it is because he wants to keep the game exciting or perhaps he wants that grand slam record. Before his match with Tsitsipas, Nadal’s serving stats were at 70 per cent for first serves in, 80 per cent for points won behind his first serve, and 55 per cent behind his second serve. His break point conversion rate was at 45.4 per cent and he had hit 34 aces too. In comparison to last year and years gone by, Nadal is now more upright in his stance when he prepares to serve. He appears to have reduced the amount of rotation when serving too. When he tosses the ball, Rafa’s left leg is less bent and his right knee is straighter. It looks like a better position of leverage to get that extra pop. He is not getting as much spin as before, but he is hitting consistently bigger and, somehow, his first serve percentage is still impressively high. Against Alex De Minaur it was at 82 per cent. It is not as big as the 130-135mph serves he was bombing down at the 2010 US Open, but it is still very effective. He did not continue with that serve as it reportedly caused him shoulder pain and he said it was outside of his comfort zone. 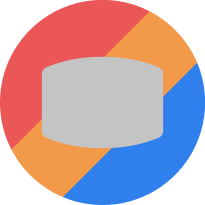 “The problem when I am serving fast, the percentage is going a little bit down. The problem is if I don’t serve the perfect serve the ball come back faster, so I need to play a little bit slower game to have the control of the point,” he said in 2012. Right now, Nadal is completely in control of his game and his matches as well. He is yet to drop a set in this tournament. This may be the best hard-court tennis he has ever played. 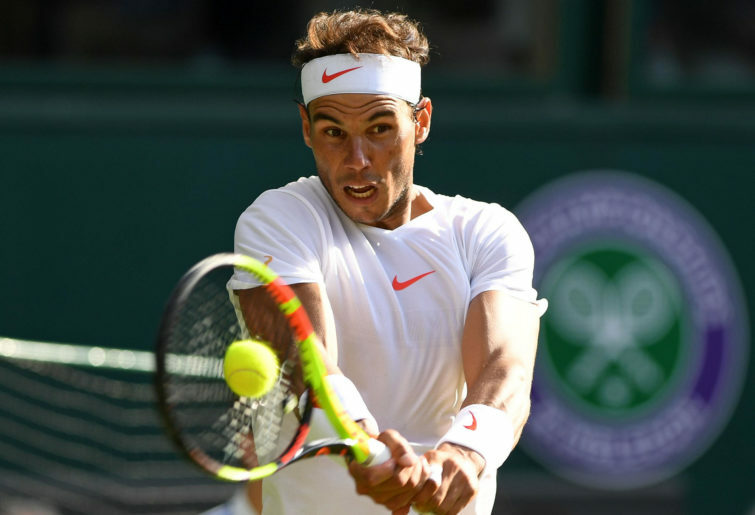 Nadal has certainly gone through tougher fields to make it through to a grand slam final, but such is his form, it may not matter who he is up against. Ultimately we will get a better idea of whether or not he is playing the best tennis he’s ever played come the men’s final. He would be the overwhelming favourite if Lucas Pouille prevails against Novak Djokovic, but if not, he will probably be the slight underdog versus the Serb. There is no other player who can hurt Nadal like Djokovic can. He just finds a way. Their match at Wimbledon last year was a classic and more will be expected if they meet in the final. Arguably, what cost Nadal in that semi-final was his serve. 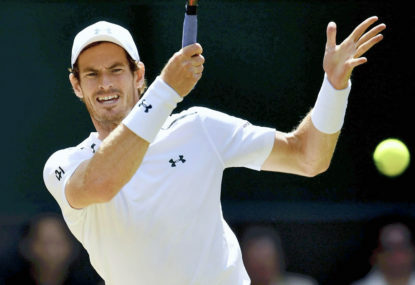 His greater weight of shot nearly got the job done against Djokovic on Centre Court, and now that he has this improved serve, he may avenge his loss at SW19 on Sunday. Either way, this Nadal may be the best version we have ever seen.